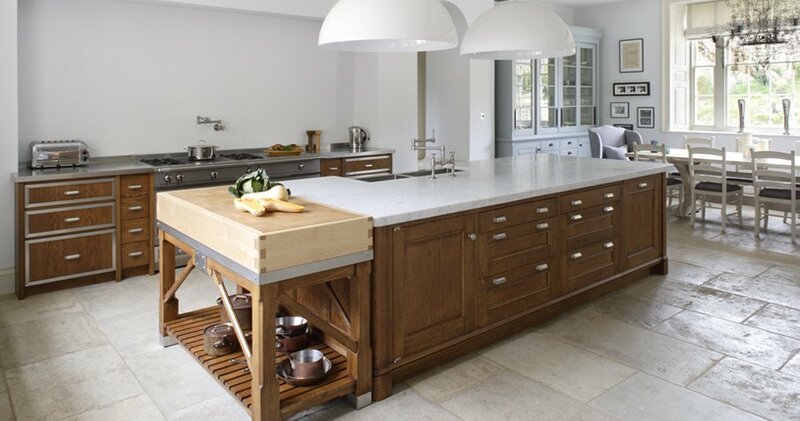 Artichoke are specialists in beautiful bespoke kitchen design. We call on more than 25 years of experience to create bespoke kitchens for a wealth of clients, in stunning homes across the country. Every project we take on is entirely unique and uses only the finest quality materials. In doing this we have cultivated a reputation for excellence and meticulous attention to detail. We are a small team of designers and cabinet makers that bring together artisan skills and a range of crafts. We love to incorporate beautiful period detail into our designs and specialize in maximising the potential of any space. We will design a space to suit the way you cook, eat and live. Based at our 14,000 square foot workshop in Somerset, we have completed a wealth of projects in London, numerous in country houses across the UK, and even a few internationally. Below are two projects that showcase our work, or you can browse in more detail through our extensive portfolio. 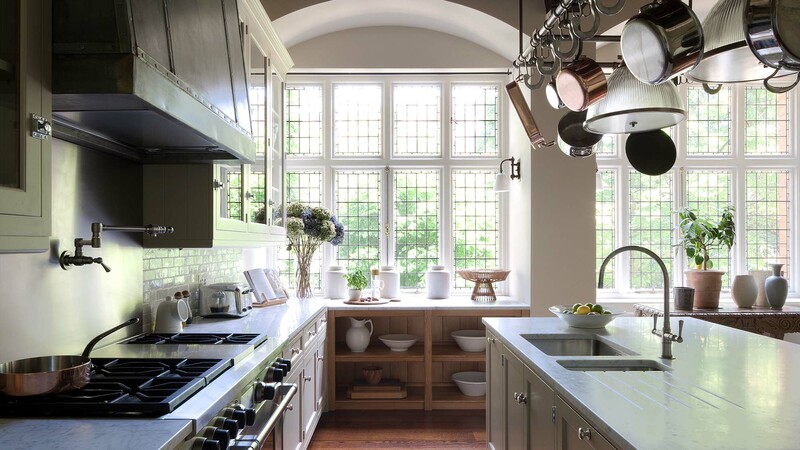 Artichoke designed this kitchen alongside Interior Designer Michael Smith. The room is influenced by the American East Coast and takes on a New England Hampton style. We used chromed door catches and glazed wall cabinets which are typical of kitchens of this type. The green painted kitchen larder is more classical in style and was inspired by a piece of Dutch antique furniture. The batterie-de-cuisine over this island was chosen so that we did not have to integrate lights into the beautiful ceiling. As part of this refurbishment project, Artichoke was asked to create a stylish kitchen with a scullery to modernise a beautiful Queen Anne house. This project involved a huge array of specialist crafts including bespoke ironmongery on the cabinets, stainless steel and Carrara marble worktops. The kitchen also featured a custom made steel Belfast sink. If you are interested in working with Artichoke please contact us on 01934 745270, we would love to hear from you.